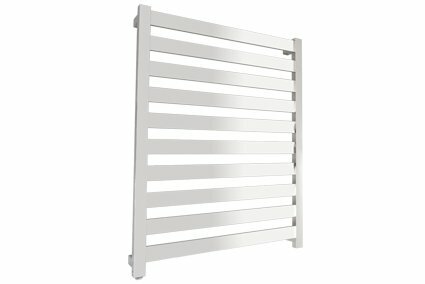 The Fury range of heated towel racks combines contemporary elegant design with supreme functionality to create the ultimate luxury bathroom accessory. Made from high quality, hand polished stainless steel; the versatile wall mounted rails are perfect for limited space households. The state-of-the-art towel rails offer an elegant and energy-efficient way to dry and warm towels while you shower, without placing added strain on your electricity bill. 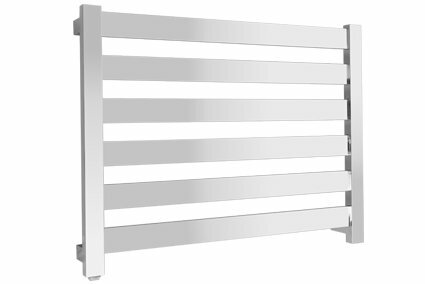 The Fury range is available with six or ten rails and can warm towels up to a cosy 55oC, perfect for wrapping your body in after a shower. With the latest bathroom technology the heated towel range comes equip with a neatly concealed timer for precise and routine towel warming. Available with hard or soft wiring and left or right bottom outlet mounts the Fury range of heated towel racks can bring year-round warmth and indulgence to any home.